“As a Pettman DARE Fellow, I have spent the year completely immersed in the world of music education and have seen first-hand the incredible potential music has to enrich the lives of individuals of all ages. Through both working as a member of Opera North Education and studying at the University of Leeds I had the opportunity to understand how these amazing experiences are created and have assisted on everything from music sessions with babies to choirs with older adults in the community. It has been invaluable to learn about such a wide range of projects, each with its own challenges and essential components that ensure the quality of experience for participants. 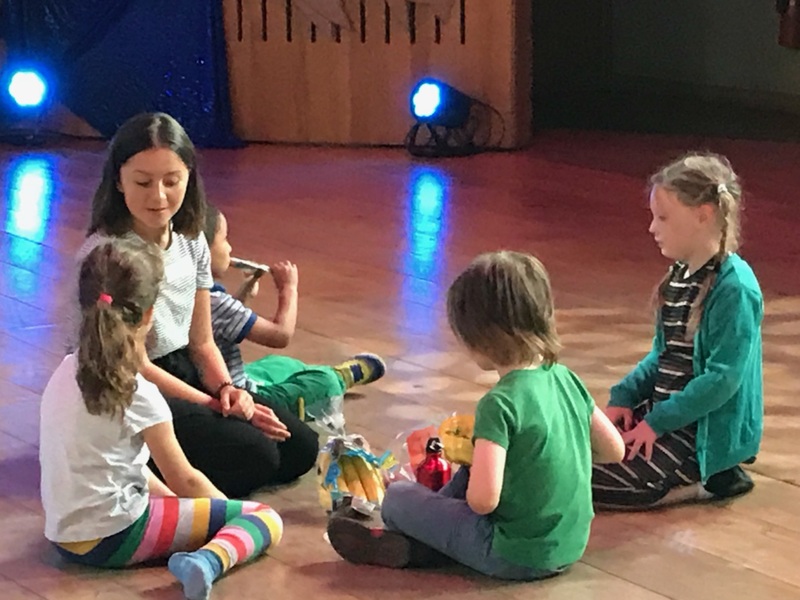 A highlight for me has been supporting projects for children and families in the Howard Assembly Room, out in the local community and in ON’s touring venues around the North. I have thoroughly enjoyed assisting the Bring Along a Baby Choir – it was so special welcoming mums and their tiny babies into the HAR to come together and sing whilst their babies chilled out under the twinkling lights! The supportive atmosphere as we all sang together was something I will never forget and it was great to see the group grow in confidence and connect with each other over the weeks. In addition to learning from the team at Opera North, the opportunity to connect with other organisations in the arts sector and find out more about the amazing initiatives that are happening around the country has been so insightful. From attending conferences, training and visiting organisations around the UK I have had so many inspiring conversations that has fuelled my desire to work in this exciting sector even further. Underpinning all the practical experience has been my studies at the University of Leeds where I have been able to explore arts management and engagement research and theory. I enjoyed the variety of modules I was able to study and the chance to gain an in depth understanding of the arts sector. It was a really unique opportunity to be able to apply learning from my lectures directly into the work I was undertaking at Opera North, particularly when creating my own project. The Pettman DARE Fellowship provides the opportunity to take the lead in managing a music education project and I was lucky enough to have the chance to create a new project for the Early Years and Families project strand. I helped design Creative Explorers, a multi arts summer activity week for children aged 5-7. Over several months, I worked closely with the Early Years and Families Manger to develop a project that gave children of all abilities the opportunity to engage with a range of artforms. We decided on the theme of environments (jungle, artic, space and underwater) which helped us to link our activities and create an immersive space for the children in the HAR. A highlight of the project was the opportunity to work with a team of experienced artists and musicians who so brilliantly brought our ideas to life. I couldn’t believe how quickly delivery week came around for Creative Explorers and it was truly inspiring to see months of planning come together! It was a busy and energetic week working with the children, some who came for a day and some for the whole week. We did everything from singing songs about the artic to yoga inspired by the jungle to collectively making a giant moon to hang in the space area. It was magic to see some of the children who were so nervous arriving in the morning throwing themselves into the activities and working in groups to create their own artwork and compositions. The feedback from both children and parents was overwhelmingly positive and I feel lucky to have had the opportunity to create project that supported young children’s exploration of the arts. The Pettman DARE Fellowship has helped me to understand the amazing variety of tasks and responsibilities project management involves and that this goes beyond just planning, schedules and budgets. In fact, the human aspect of being a project manager is just as important to ensure music education projects are inclusive and accessible. This can be something as simple as being the friendly face that greets participants as they arrive to the project or keeping an eye out for participants who may need extra support. Supporting a range of participants to access music making and learn from such an experienced Education team has helped me to develop as a project manager. I have absolutely loved walking into Opera North every day. It is a busy and creative place where you can hear singers practicing as you walk through the corridors, stumble across sets being put together, costumes being made or a hundred school children taking part in an Education project! Playing a part in developing exciting opportunities for individuals of all ages and abilities to engage with music making is such a privilege. The Pettman DARE Fellowship has provided me with an incredible foundation of knowledge, skills and experience and I am looking forward to utilising this in my next role and to continue developing in this exciting sector! 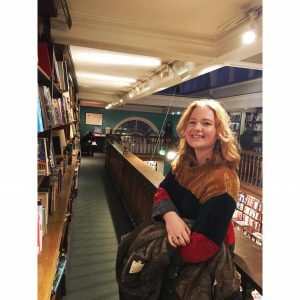 “Despite In Harmony Opera North already doing a huge amazing work, the programme is constantly growing and developing, and, in the case of the Richmond Hill Academy Community Sing, a conversation can always lead to a new project. The idea came about when I was still learning about the programme from Charlotte, the In Harmony manager, and it became clear to me that there was a potential to get parents more involved in the schools’ music-making. Richmond Hill Academy was the perfect place to try the idea of a community sing; it is the most recent primary school to become an In Harmony Opera North school in September ’18 and following the successful launch event, was fully immersing itself into the spirit of the programme. Finding a way to involve the parents and carers in In Harmony would support the feeling of community that was already building in the school. However, it is one thing to propose the idea of parents/carers and their children singing together and another thing to make it happen. What is to say a parent, carer, grandparent or older sibling would be interested in singing at all? Luckily, the success of the Whistle Stop Opera’s performance at the school gave us a confidence boost – hopefully a community sing would be met with the same level of enthusiasm. Of course, the person who would really know how best to make the event a success was Anna Mackenzie, Richmond Hill Academy’s Head Teacher. After formulating a rough plan, I had a meeting with Anna to pick her brains. With her expertise about the school’s community, we fleshed out how to make the first Richmond Hill Academy Community Sing a success: the intentions of the event, how best to approach parents and carers and how to create an air of excitement. Whilst liaising with Anna and Matt, Opera North’s Choral Delivery artist at Richmond Hill Academy, I created flyers and the teachers at the school helped to create a buzz around their students. The community sing would round off Richmond Hill Academy’s first half term as an In Harmony school. On the 26th October, we had over 200 parents, carers, students, siblings and teachers in the Richmond Hill Academy school hall, all participating in a singing session led by Matt. It was a little chaotic – we weren’t expecting quite so many people! –but during the session, people young and old came together and sang a song about mangos and pineapples and learned a Scandinavian lullaby. It is known that singing in a choir improves your mood and mental health, and we had feedback about how much parents had enjoyed themselves, despite not knowing what to expect. My favourite feedback was from parents who said how lovely it had been to spend quality time with their children, and how their children’s excitement about In Harmony had inspired them to come along to the session.